Recreating and performing the music of the bewitching rock icon, legendary singer-songwriter and Fleetwood Mac front woman, Stevie Nicks. Our sets include songs from the enchantress’s catalog which spans four decades of chart topping hits; from Stevie’s early beginnings with Fleetwood Mac to her latest release. 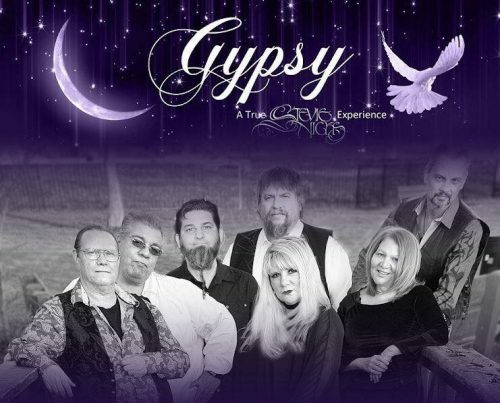 Gypsy will take you on a magical, musical journey through time and she will leave you believing you are actually in the presence of Stevie herself, making your encounter “A True Stevie Nicks Experience”.